1979, M.A. in Philosophy, Catholic University of Lublin, Poland. "The Controversy Concerning the Object of Aristotle's Metaphysics according to Joseph Owens"
1983, Ph.D. in Philosophy, Catholic University of Lublin, Poland. "Metaphysics of Beauty: An Attempt to Reconstruct the Classical Conception of Beauty"
1990, Habilitation in Philosophy, Catholic University of Lublin, Poland. "Aesthetics or Philosophy of Beauty?" 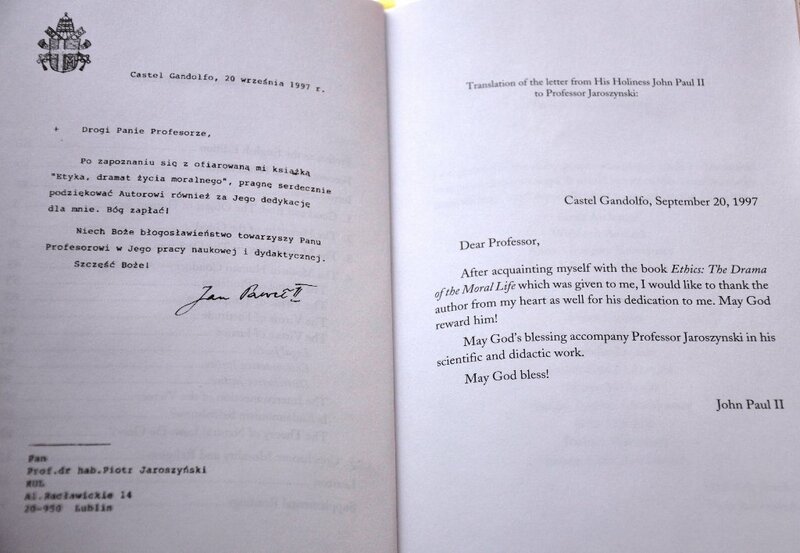 Rector's Award, Catholic University of Lublin, Award for the book Nauka w kulturze (Science in Culture), June 2003. 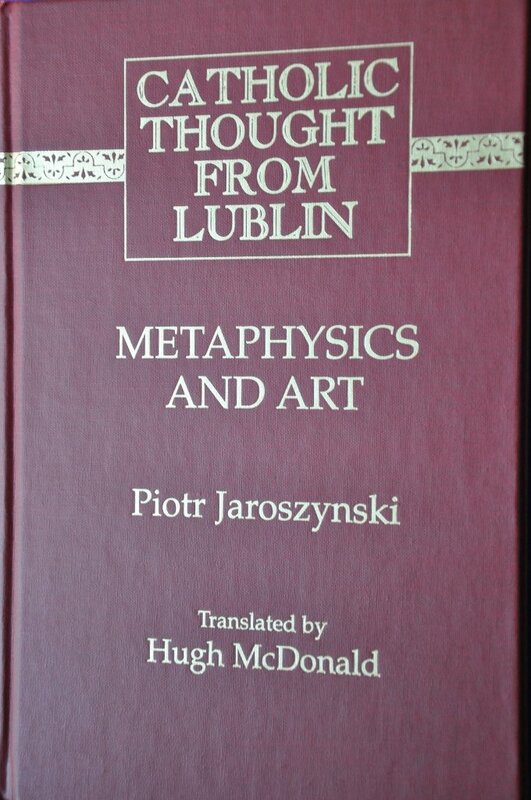 The Metaphysics of Beauty (Lublin 1986, in Polish). The Controversy Over Beauty (Poznan 1992, Krakow 2002, in Polish). The Basic Classical Rhetoric (in Polish, Warsaw 1998, 2002). Universidad de Salamanca, Cómo comprender ars: recta ratio factibilium, Salamanka, Hiszpania, November 25, 2008. Overcoming Evil with Love - Is there a Conflict between Philosophy and Faith? - Ave Maria University, Florida, USA, 4.02.2009. Universidad de Valladolid, El arte y la religión, 3.03.2009. Universidad de Valladolid, La ciencia y la ética, 3.03.2009..
St. John’s University, New York, Slavery and Socialism, 29.09.2009. St. John’s University, New York, The Misfortunes of Socialism, 29.09.2009. "Lublin thomism" was born at the Catholic University of Lublin after the Second World War when Poland lost her independence. Stalin installed a puppet government that implemented an agenda that served the interests of the Russian Communists. However, Poland had been traditionally a very Catholic country and the Catholic Church was still very strong. The opposition to communism was based upon our identification with Catholicism. Even though we Poles had lost much of our property and independence at the economic and political levels, our spirit was free, and we still pursued and recognized the truth. It happened that the Catholic University of Lublin was the only private university behind the Iron Curtain; all other universities were subject to Marxist ideology. During the war, both the Germans and the Russians tried to eliminate the entire Polish intelligentsia, as witnessed in incidents such as the massacre of Polish officers by the Russians in Katyn. Several very young professors who survived the war, such as J. Kalinowski, M. A. Krapiec, S. Swiezawski, S. Kaminski, M. Kurdzialek, and later K. Wojtyla, came to the conclusion that they must demonstrate the errors in the Marxist conception of man. A wrong conception of man leads to totalitarianism. Their task was not merely to show the errors in the Marxist philosophy of man, but to discover and show the true image of man. This was a philosophical task, but one which also had far-reaching political consequences. This is how “Lublin Thomism” emerged. The Department of Philosophy was opened at the Catholic University of Lublin in 1946. The professors and students there have studied and written works in almost all fields of philosophy: metaphysics, philosophy of man, philosophy of religion, philosophy of law, epistemology, ethics, philosophy of art and beauty, philosophy of culture, methodology of philosophy, etc. Most of the work was done by Father Mieczyslaw Albert Krapiec and his pupils. 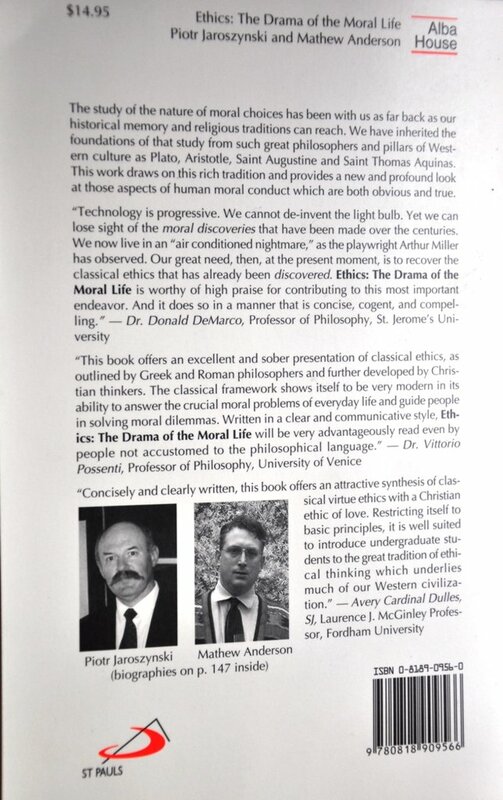 We try to follow the path of classical realistic philosophy. In our approach, the understanding of being as existing lies at the bottom of all philosophical investigation. The approach of St. Thomas Aquinas provides a reliable guide in our investigations. While the writings of St. Thomas himself provide us with a fresh and direct philosophical approach to the major questions of philosophy, the same cannot be said about the tradition that grew from his works. We must distinguish between the actual thought of St. Thomas as found in his works, and "Thomism", which is the collective body of works of many generations of scholars who have commented on his thought. Unfortunately, much of traditional Thomism is a distortion of the thought of St. Thomas in the area of philosophy. St. Thomas presents a philosophy based on existence, which we may call "existentialism" (but we must avoid any confusion with the philosophy of Jean-Paul Sartre in this regard). Much of what is called Thomism is a kind of essentialism. Essentialism lays stress upon concepts rather than real existence, and takes its starting point in logic rather than in existence. The phenomenology of Edmund Husserl and his disciples is well-known in Poland, where many notable philosophers are in one way or another disciples of Husserl. Perhaps the best known Polish phenomenologist is Roman Ingarden, but there are many others. The Lublin Thomists are well acquainted with phenomenology, and draw upon its insights and methods, but we should not exaggerate the influence of phenomenology on “Lublin Thomism”. We think that phenomenology is useful at the level of description, but phenomenology is not a proper starting point for metaphysics. Metaphysics is the first philosophical discipline, and all other branches of philosophy are simply applied metaphysics. Metaphysics is the philosophy of being, and it is essential that the metaphysician should grasp being as existing. Being is grasped in existential judgements, which cannot be reduced to descriptions or concepts. However, if the metaphysician adopts the phenomenological "epoche" as his principle method, he becomes an idealist. Since "epoche" is the "bracketing of existence", that is, leaving the problem of existence to the side in order to concentrate on neutral description, then the philosopher who makes "epoche" his starting point lapses into idealism. The essentialist approach which infected much of Thomism came from the wrong application of some of Aristotle's works. We find a theory of scientific knowledge in Aristotle's "Posterior Analytics", but this particular theory does not belong to metaphysics, nor did Aristotle or Thomas apply it to metaphysics. It is not hard to discover why. This theory of science is proper to the particular sciences, especially mathematics and geometry. In such areas we use univocal terms, which can be defined according to proximate genus and specific difference. They fit perfectly as subjects and predicates in syllogistic reasoning. Metaphysical terms are, by way of contrast, neither univocal nor strictly limited in their range of denotation and thus cannot be strictly defined. To apply them syllogistically would be an error. Metaphysics has its own distinctive object and method. We can discern two distinct phases in the development of metaphysical knowledge. The first phase is the formation of the transcendentals. This involves the “clarification” of the concept of being. In the second phase, we peer into the very structure of being in light of the concept of being and of other transcendentals, as well as the first principles of being. Here we see the major role played by the process of “rendering free of contradiction”. Instead of definition, we have “clarification”. Instead of syllogism, we have “rendering free of contradiction”. The method by which we grasp being as existing is called “separation”. This method is neutral; there is no “a priori” possible, for any “a priori” appears at the level of content (an essence) and not at the level of existence which is grasped immediately, without medium, since existence is not an essence, and cannot be mediated as for example a color or a form. Moral relativism, so predominant in contemporary culture, has its main source in Kantian philosophy. Immanuel Kant introduced into philosophy and into ethics a theory of value, which later on was developed by different Neo-Kantian schools, and finally found its place in almost every area of culture. However, the main difference between the value and the good is that the good is a property of being (therefore, good is real! ), whereas value was introduced in opposition to being (a correlate of “Sollen” as opposed to “Sein”). The value is not real, since it is not a property of being, and this leads to idealism and the relativisation of morality. Ethics cannot be separated from philosophical anthropology, since it is a man who makes decisions which are good or bad for man. Therefore we must know what and who man is. It is absurd to talk about ethics without philosophical anthropology. The most important task for philosophical anthropology is to discover the inner and outer facts characteristic for man. These facts must then be interpreted in a philosophical way, i.e. rendered free of contradiction. Some of the external facts are that fact that man lives in societies, that he produces tools, and uses language. The inner facts include various individual experiences at the physiological, psychic and spiritual levels. These facts are apparent only to the subject who experiences them. The subject of experience sees that his individual experiences have the same source. It is the same “I” that fulfills different acts: I breathe, I am sad, I think. As Father Krapiec noticed in his brilliant book “I-Man”, in order to render these facts free of contradiction, we need to turn to the theory of the soul where the soul is an act of a body. There are two aspects to the theory of person. 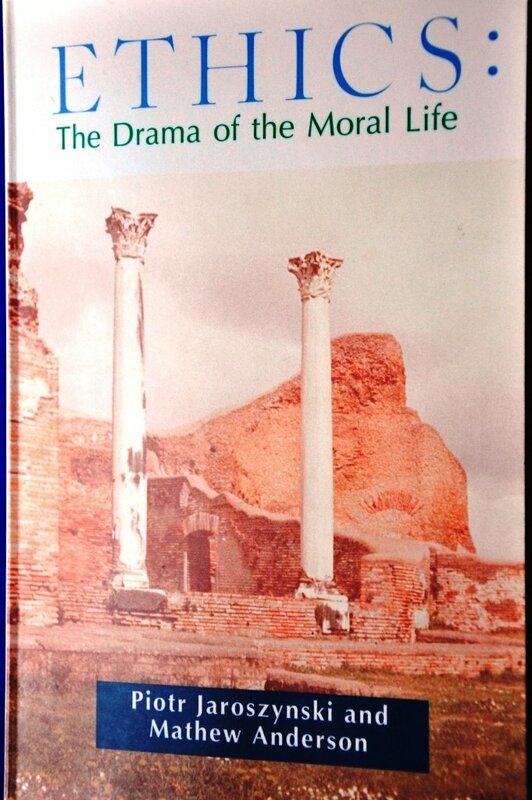 From the historical point of view, neither the Greeks nor the Romans had a developed understanding of man as a person. A man was conceived as a soul. The situation changed in the Christian perspective when every man was respected as having been created in the image of God. The word “image” is key, since it corresponds to the Greek term “prosopon” and the Latin word “persona”. From the philosophical point of view, this Christian message, as in the case of the discovery of existence, provided a much better explanation for the essential unity of the human being, i.e. composed of body (potency) and soul (act), where the soul of a man is a subject for existence and for different acts. Karol Wojtyla (the late Pope John Paul II) was the author of "The Acting Person". The importance of his reflections in this book seem to lie in his detailed analysis of the human decision as the main source of human moral responsibility. Philosophy develops in a different way than mathematics or physics. 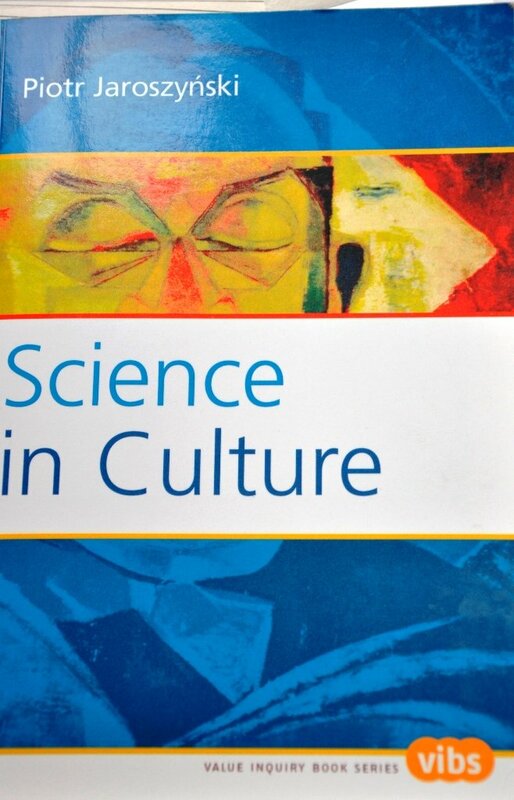 It is a distinct branch of culture. Mathematicians and physicists do not need to study the past, and each new discovery redefines the field of knowledge. In philosophy, the past always remains important. The methods used in philosophy do not depend upon technological development as do the specialized sciences. Philosophy has as its object of study “being”, and studies its object under a different aspect (“qua being”). 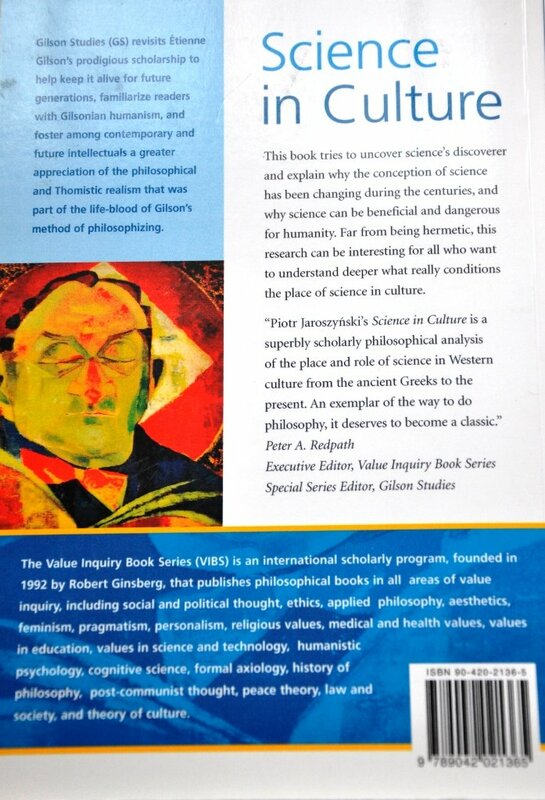 On the other hand, philosophy is the most difficult science to understand and it is good to know the history of philosophy from the very beginning in order to avoid errors where past philosophers have already found proper solutions. Is metaphysics dead? Is metaphysics irrelevant in a culture which values the constant and incremental progress of the natural sciences and technology? The death of metaphysics would be the death of man as a rational being, since metaphysics poses rational questions which have perennial value for man. I think that those who speak about the “death of metaphysics” simply do not understand what metaphysics is. My guess is that they probably have the ontology of Christian Wolff in mind. But here again we see how important knowledge of the history of philosophy is, without which it is easy to be in a state of “apaideusia” (lack of education) as it was called by Aristotle. Aristotle began his work "Metaphysics" with a review of the various positions of other philosophers. When we read his review, we find that the same views recur throughout history and in our time as well. How do we see the role of epistemology? Epistemology is variously known as the theory of knowledge, criteriology, or gnoseology. Much of modern philosophy puts epistemology in the place of metaphysics. The problem of epistemology taking the place of metaphysics has its source in Cartesian philosophy, the philosophy of René Descartes and his followers. However, Descartes only knew scholastic philosophy as seen through the eyes of Suarez who followed the path of Duns Scotus. Descartes did not know Thomas Aquinas as an original thinker. Following methodic scepticism, it became impossible to return to the real world since "a posse ad esse non valet illatio" (there is no valid inference from what can be to what is). Without a real being, there is no place for metaphysics. Substituting it with epistemology or ontology leads to nihilism. Epistemology did not exist as an independent branch of philosophy in ancient and medieval thought because realistic epistemology (and not quasi-metaphysics) is a branch of philosophical anthropology. It is a man (a person) and not an impersonal consciousness who comprehends being. In order to develop a realistic epistemology, we must first know what being and what man are. Poland Dares to Speak Up! Miranda Devine is an Australian columnist and writer, noted for her conservative stance on a range of social and political issues. Her column is printed twice weekly in Fairfax Media newspapers, The Sydney Morning Herald and The Sun-Herald.